People in Japan finally know who to call for a Ghostbusters burger. J.S. 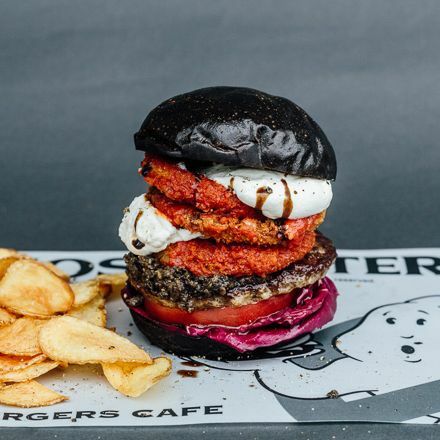 Burgers Cafe, part of a chain of eateries run by Japanese retailer Journal Standard, has unveiled a themed menu tied to the new movie’s release that is predictably better than America’s only Ghostbuster-themed foodstuff (Hi-C Ecto Cooler, of course). The limited-time offering has four tie-ins, starting with the G.B. 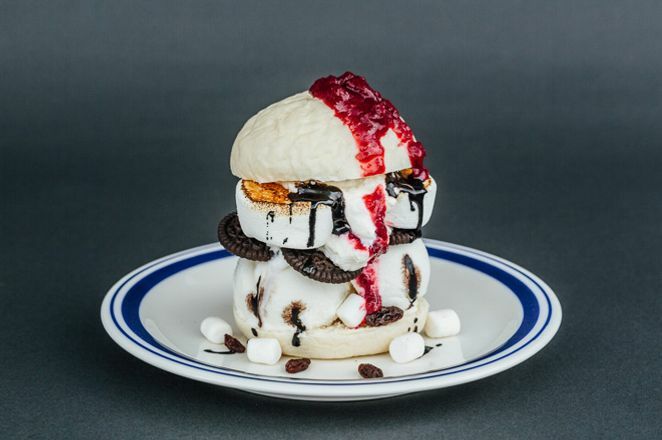 Burger, a specimen that might be the first logical use of black-bun technology. 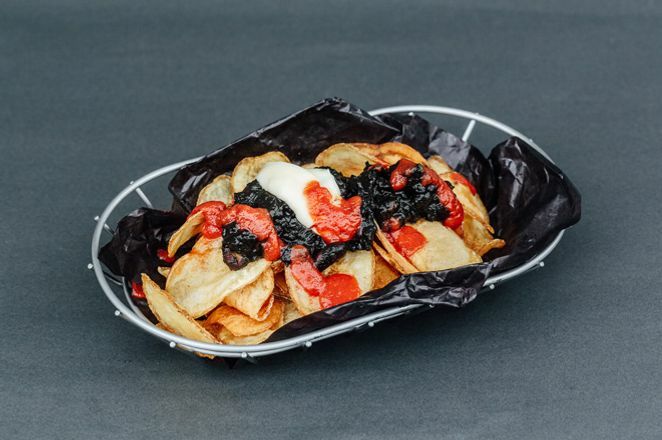 It’s got a layer of purple cabbage, and according to Fashionsnap, the patty gets a ghastly black-olive-and-anchovy-paste treatment. Or slake that thirst with a Slimer smoothie that goes full ectoplasm. 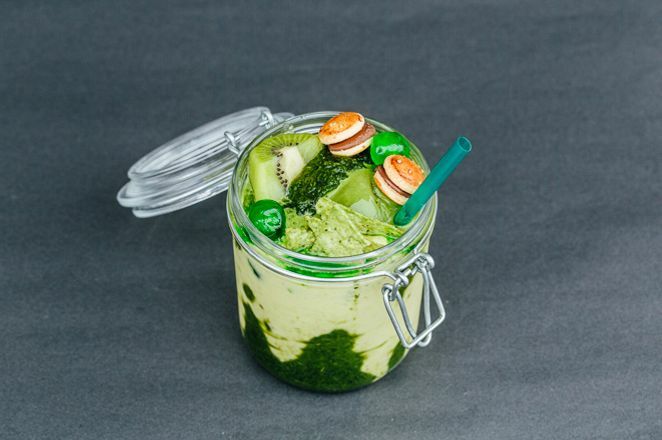 Ingredients include something vaguely dairylike and perhaps a blended hearty green of some kind, plus kiwi chunks and, for no good reason at all, burger-shaped snacks and candies on top. It’d no doubt bring tears of joy to the Stay Puft mascot’s eyes, assuming the new Ghostbusters team actually re-conjures that homicidal marshmallow maniac.